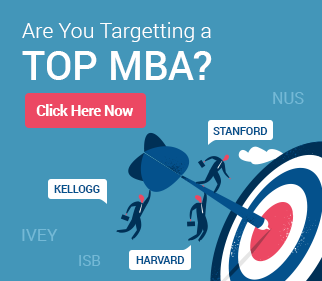 Home Blog 5 ISB MBA Admission Mistakes – BEWARE! 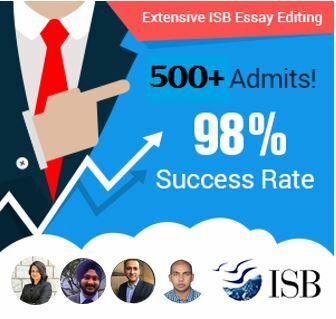 Every year, thousands of students apply to ISB. 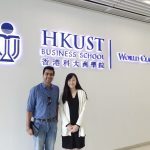 Many of them have strong GMAT scores, good academic profiles and work experience, and a high likelihood of success at the ISB admissions process. Yet, many year, many deserving candidates fail to make it to ISB in spite of these credentials. GyanOne has worked with many reapplicants, helping them to make it to ISB the following year. Yet, this article is not about us – it is about ISB applicants themselves, and how they can avoid some common mistakes that can lead to the rejection of their candidature at ISB. We present here a list of 5 ISB MBA admission mistakes we have seen applicants make and then repent later. They have been compiled from applicant interviews when these applicants have approached us in the following year. Some have also been compiled from the profile evaluations that GyanOne has done, providing applicants with advice on how they can improve. Inputs from ISB students and the ISB admissions committee also form a part of the advice mentioned here. Please note: None of the advice mentioned here is meant to criticize reapplicants. It is just meant as learning for future applicants. ISB is an aspirational MBA program, which naturally means that there are many more applicants than seats available. Competition is tough, and the application process followed by the interview stage creates a significant filter for these applicants. Yet, we have seen many people applying to ISB without fully understanding the process or what ISB looks for. For example, the average GMAT score across both ISB campuses is 700. This does not mean that someone with less than that cannot hope to get through. Indeed, many of our clients (and others as well) have been people with GMAT scores significantly below that number (650/660/670). However, applying to ISB with a GMAT score of, say, 620, and hoping that one’s profile will carry one through (unless that profile is really outstanding or highly experienced) is hoping in vain. This one is a lot more common. Many applicants tend to approach the essay creation process as a hygiene factor rather than an opportunity to shine. Such applicants erroneously believe that the ISB admissions process is predominantly based on the applicant’s ‘profile’, and the essays thereafter are only a formality. As a result, their essays end up being a reflection of what they want to convey, not wants ISB wants to know. For example, in 2014, the ISB application had an essay requiring applicants to provide an example of innovation they have seen in their workplace. Some applicants responded to this essay prompt with random stories on how they have excelled at work, or how they have led teams, with only a very weak connection to innovation. Similarly, approaching the ISB goals essay with only a peripheral idea of how ISB as a school can help the applicant achieve his/her career goals is playing with danger. The 1-year duration, the prestige of the school, and the peer group are only starting points, not the raison d’etre why one applies to the school. The ISB online application is a bit more detailed than those of other top schools around the world. From reasons for changing jobs, to details of parents and spouses, and separate mention of the awards one has won, it requires quite a bit of information. And yet, this is no excuse for not filling in all that information well. For example, if ISB asks for information on hobbies, don’t just do the basic minimum by saying ‘reading’, ‘watching movies’, and ‘travelling’. Go a bit beyond. Make your own profile interesting to them. Similarly, we have seen reapplicants who applied the previous year and gave reasons such as ‘Got a better offer’ for each job changed, after changing four jobs in three years! Needless to say, it is upto applicants to present a picture which inspires confidence in their own profile. ISB Application Mistake 4: No Recommendation Strategy! Recommendations are a critical part of the ISB application process. They are not meant to serve just as approvals, but as endorsements. 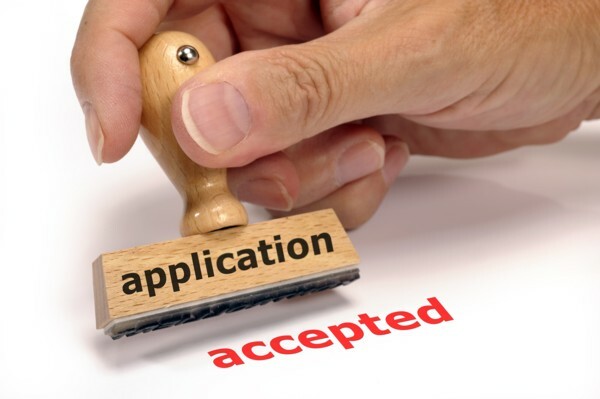 Unfortunately, some applicants take the recommendation process with less than the gravity it deserves. They might ask their boss/manager to fill in the recommendation on their behalf, and then forget about it. Weeks later, with the deadline looming, they would frantically request their supervisor to complete the recommendation. In such a scenario, the recommender hardly has any time to think through things and would not be able to comment in as much detail as he/she should. Smart applicants, therefore, approach their recommenders well in advance, discuss their plans with their recommenders in detail before requesting the recommendation, and send timely reminders to their recommenders to avoid last-minute panic. Think about it – a glowing recommendation that flows from a well-informed recommender is likely to support your candidature much more than a hastily assembled last-minute one. ISB Application Mistake 5: No Personalization! An ISB application is ultimately all about the applicant. Not the applicant’s colleagues, not his/her future colleagues, and not his/her friends in ISB. Unfortunately, some applicants feel that mentioning an endorsement from a current (or past) ISB student will make their application stronger. Not really – unless it is directly relevant. For example, we have seen applicants mention how their friend at ISB found some initiatives or programs really impactful, and this is the reason why they feel they would succeed too. Others mention how they spoke to current students at ISB who felt that their candidature is strong. Neither of these points will add much value. Your application is about you. Mention points relevant to your experience. Yes, you can draw from others’ understanding to supplement your own, but your application must reflect your dreams, goals, and needs, not anyone else’s.